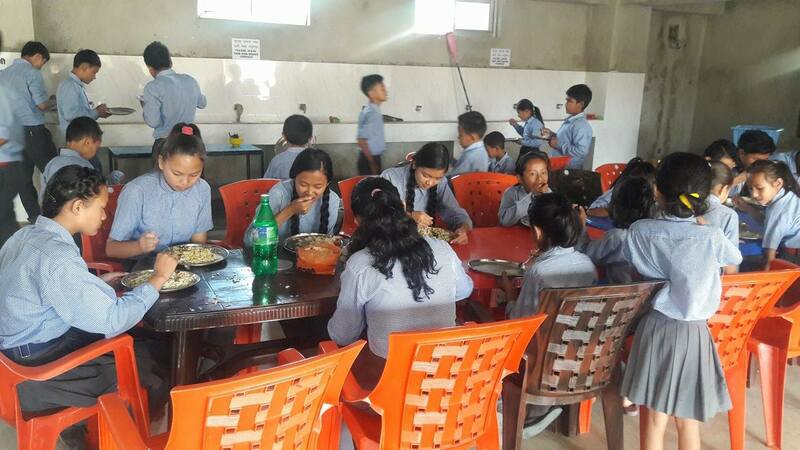 Our April visit to Nepal confirmed that the Foresight sponsored students are thriving. Many have achieved new levels of independence. There are many stories of success. 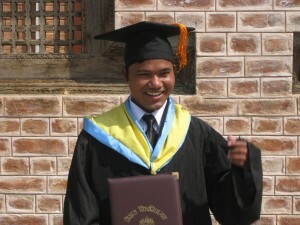 One has recently finished his Bachelor degree in Mechanical Engineering. One is poised to finish her Bachelor studies in Social work. 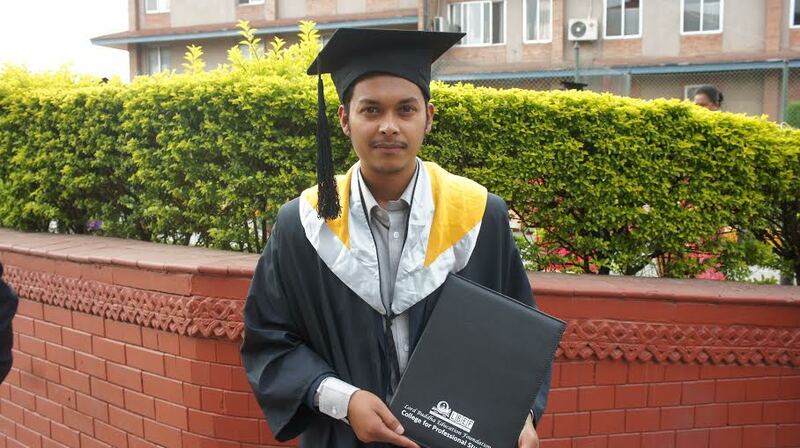 Another has achieved his license to become an official trekking guide. 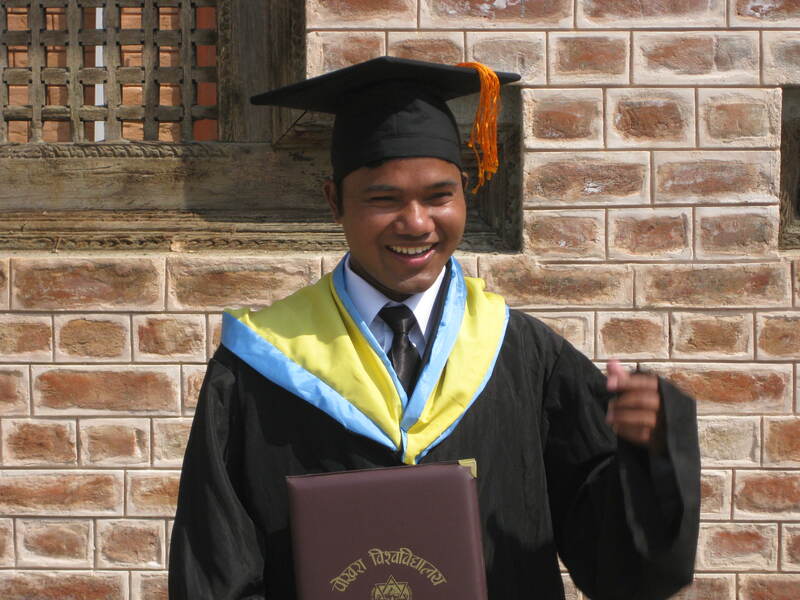 And there is the young man working for Qatar Airways in Doha as a customer service representative. 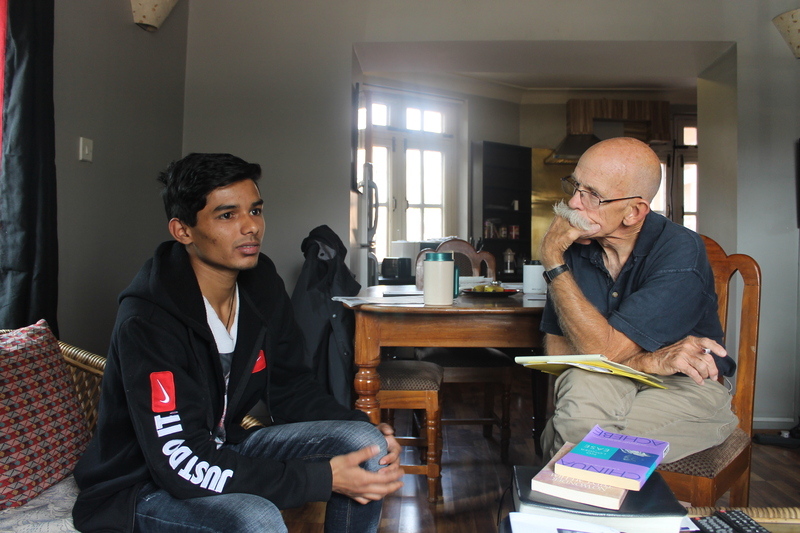 We enjoyed individual mentoring time with the students and graduates, as well as a retreat time with many, away from the bustle of Kathmandu. At the retreat we challenged them with the theme, ” Blessed to bless others”. Individual mentoring with Foresight staff. 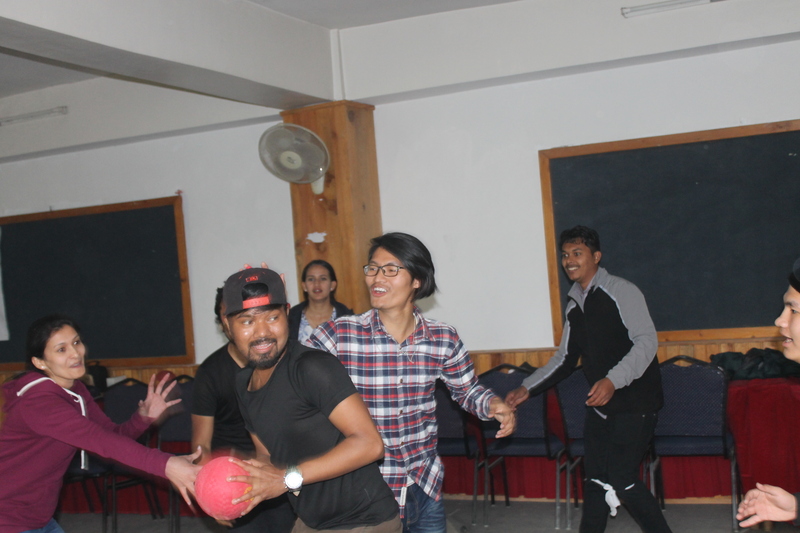 Practical, experiential education is a value of our partner school, NBA, in Nepal. 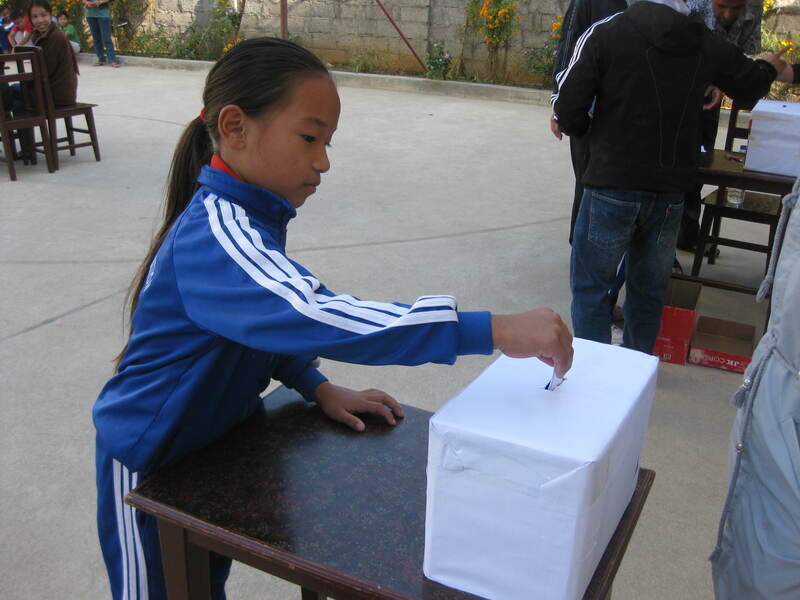 We were delighted to be present for the Social Studies lesson on “democratic government”. 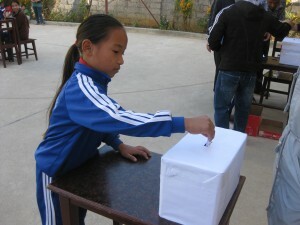 The students experienced their own election, simulating the national elections that were about to be held. 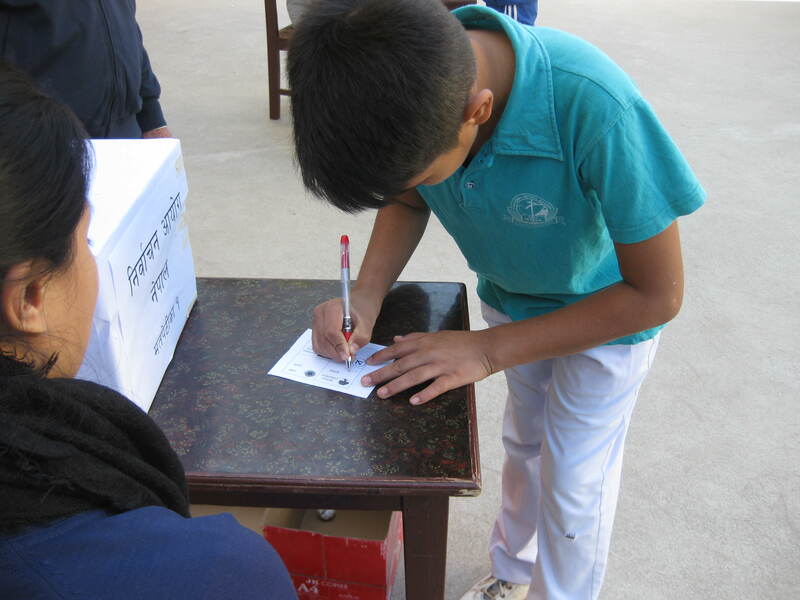 Ballots were printed, party positions explained, students waited in line, were checked against the voter list, had their thumbs indelibly marked, and cast their votes. We were delighted to be there to see the students actually walk through these steps to better understand “democratic government”. Exercising his right and privilege in a democratic governmentCounting the ballots while voters wait to learn the will of the people. 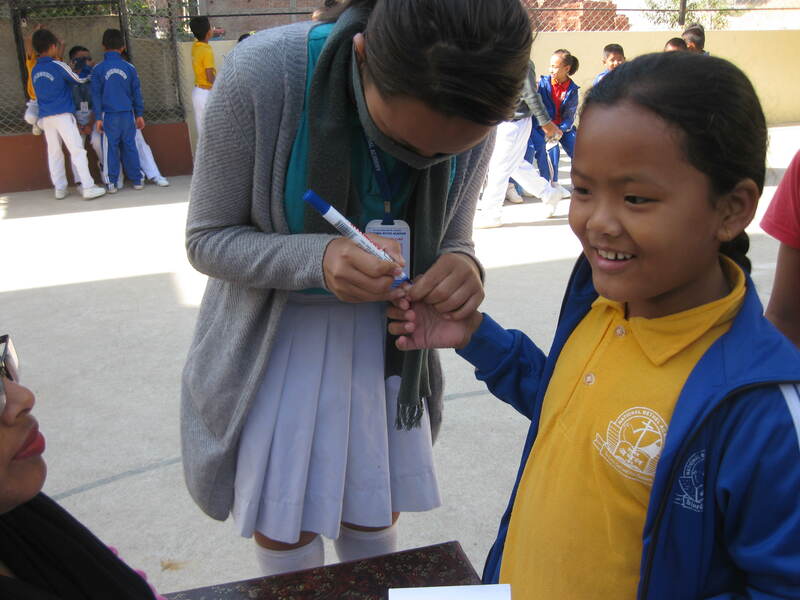 From October 18th until November 15th, we enjoyed the beautiful, clear, temperate fall weather of Nepal. It’s no wonder they choose to have their yearly festivals during this appealing time. And hordes of tourists travel to Nepal in the fall to trek, climb, and see the sights. But more enjoyable than the weather, and more rewarding than the sights is the time spent with our wonderful sponsored students and, separately at NBA, the school with which we partner. Witnessing the progress and growth in both of these groups is what motivates us to make the twice yearly pilgrimage. 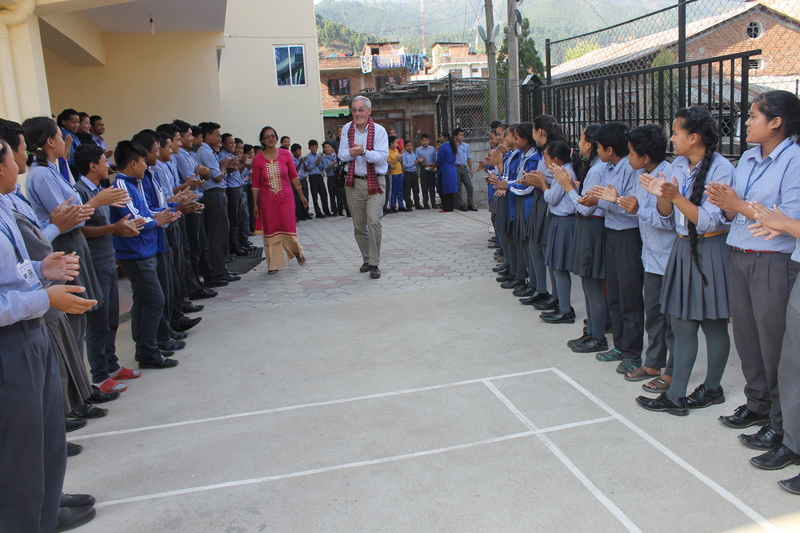 Our welcome at NBA, National Bethel Academy. 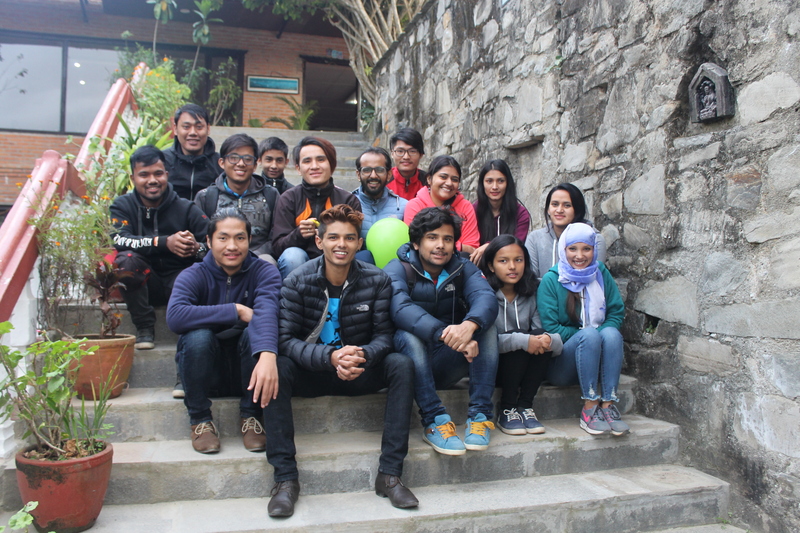 Our sponsored students on retreat with us. Two more Foresight students with promising futures! 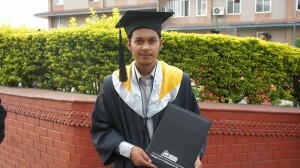 We are proud of two more motivated Foresight sponsored students who have worked very hard and earned their Bachelor degrees. The idea of a college education seemed clearly out of reach during their growing up years in a group home for needy children, sponsored by Prison Fellowship Nepal. But due to the generosity of their Foresight sponsors from the USA and the determination of these young men, their life trajectory has totally changed! Congratulations, gentlemen!! Currently, National Bethel Academy is finishing the first term in its tenth year of operation! More than 300 students are benefitting from NBA’s blend of modern teaching methods and supportive, caring teachers. Such approaches are unique and unusual in rural Nepal. Also, students are enjoying two new additions to their school…a lunch room and a renovated playground. A nutritious lunch is served daily in the new lunchroom. 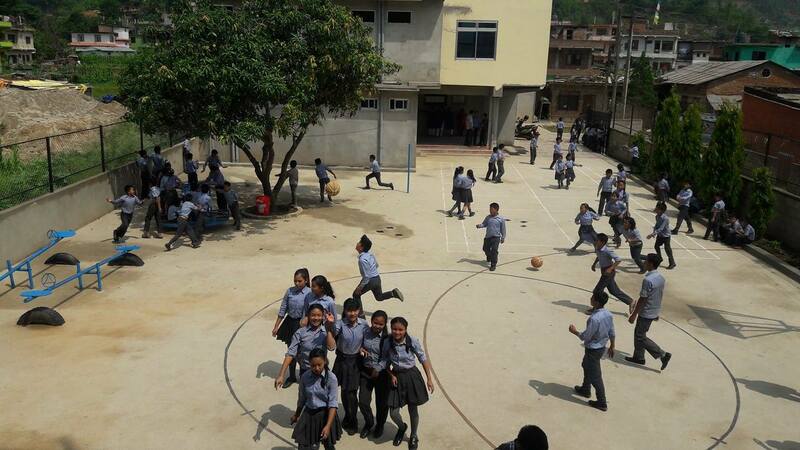 Instead of playing on mud and stones, students have a newly paved playground.